On January 21st, just a week ago this past Saturday we got a call early in the morning that no parent wants to get. My step-daughter, Laura, called from back east to tell us that her brother, Rich Jr., had had a heart attack and died. It was sudden and quick. He was only 49 years old. What makes the news even worse is Rich, Jr had alienated some of his family members, including his father who he hadn’t talked to in over two and half years. It’s just so sad! So unnecessary. He was gone too soon. When a death happens like this you don’t have much time to prepare. We had to quickly make travel arrangements to fly back east for the service and talk with family to coordinate plans and take care of things here at home while we were away. 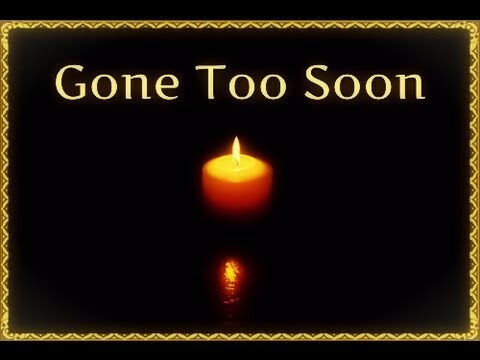 Needless to say this past week has been a roller coaster of emotions between grief, shock and anger. What makes this such a timely story for me is the fact that I’m getting ready to do a workshop starting February 7th called Emotional Weight Loss For Life. I believe in my heart that Rich, Jr. died not just because he was overweight and smoked but because he held onto negative emotions that set himself up for those self-destructive behaviors. He was the type of person who could talk about anything and everything except his feelings. He lived in Long Island, NY with his wife and two sons and was an avid sports fan and also loved to cook. Food was an important part of his life as he was a GM of a restaurant. He could talk non-stop about the Yankees or the Giants or what he was fixing for dinner or changes to the restaurant’s menu but you try to get him to talk about any kind of conflict with a family member or about his feelings and he would clam up. He held those feelings close to his heart and refused to share his deepest thoughts and fears. In the last couple of blog posts I’ve talked about how we are 90% subconscious and it is those buried emotions in our subconscious that hold us back in life and stop us from accomplishing our dreams, feeling healthy and balanced and being at peace with who we have become. It saddens me to sit back and watch people I love suffer because they don’t know how to open up and share their feelings and release their negative emotions. Having negative feelings is part of the human experience. Who hasn’t made a mistake and felt guilt or remorse? Who hasn’t had someone say hateful things about them or had to deal with rejection? Who hasn’t grieved over the loss of a loved one or faced disappointment ? Who hasn’t gone through periods of insecurity, overwhelm or felt afraid? The average human experiences all of these feelings and many more. However, if we don’t learn how to process our life’s stressful experiences and release the negative energy that comes from those experiences we will end up burying them in our subconscious. Eventually they must be dealt with. There comes a time in life where you have to have a “come to Jesus meeting” with yourself. You have to sit yourself down and say to your higher self/soul/subconscious or whatever you want to call it, “It’s time we had a talk.” It’s time to find out what you’ve buried. It’s time to find out what makes up that 90% part of you. Scary? Of course. Who wants to go digging around in that dark place we all have? Who wants to face their demons? There are ways, however, that are gentle and easy and healing. It’s not as scary as you think. That’s what my workshop is all about. To be there with you as you go through the process. You don’t have to do it alone. You just have to be open and willing to learn how to find the negative emotions and beliefs and take the time to release them. I’ve been watching Rich, Jr. from afar for many years and knew first hand some of the demons he faced and based on what I have learned over the past 10 years I saw this coming. I felt helpless to help him. Two days before Rich, Jr. died I actually told my husband to not be surprised if he outlived his son. I just didn’t realize my intuition was going to be right so soon. I have many other family members who are also reluctant to share their feelings or willing to look at alternative ways to heal emotionally. It’s too “woo woo” for them, I guess, to talk about “energy” and healing at the subconscious level. The bottom line, it’s time you become willing to open up the lines of communication with the deepest part of who you are and get to crux of what you’ve buried and and find ways to release the emotional weight you’ve been carrying around. What faulty programs are running your life? What lies and limiting beliefs control your behavior? 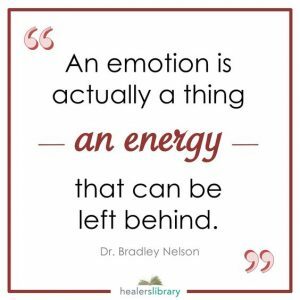 What negative emotions are you storing in your body? Keeping negative energy in the form of thoughts or emotions bottled up inside is going to only cause you pain and disease and for some even death. If you feel you have become weighted down with your emotional baggage I’m starting an on-line workshop “Emotional Weight Loss For Life” on February 7th. You can check it out here. If that is not something you are inclined to do right now then here are a few books you might want to read to learn more – The Emotion Code by Dr. Bradley Nelson, Feelings Buried Alive Never Die by Karol K Truman, Breaking the Habit of Being Yourself by Dr. Joe Dispenza and The Healing Code by Dr. Alexander Loyd & Dr. Ben Johnson. Please don’t downplay the need to have outlets for your subconscious to release the crap it carries around. Your physical, mental and emotional health depend on your willingness to let go of the negative energy you experience. If you have questions about the workshop or want to talk about what you are going through right now feel free to contact me at edie.sangiorgio@gmail.com. I’d be happy to schedule a time to visit with you.